MILE SQUARE THEATRE, 1400 Clinton St, HOB, wwwmilesquaretheatre.org. (201) 683-7014. 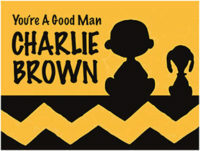 Feb 3-26: You’re a Good Man, Charlie Brown! “Mile Square Theatre opens its 2017 season with hit musical, a real treat for the entire family. This comic musical includes the whole gang from the beloved comic strip Peanuts: bossy Lucy is hopelessly in love with piano prodigy Schroeder who doesn’t give her the time of day, perfectionist Sally is still mocking blanket-toting Linus, Snoopy is in the doghouse, and ‘blockhead,’ himself, Charlie Brown is in rare form. Brief vignettes span the months from Valentine’s Day to Beethoven Day.” Shows are Friday at 7 pm; Saturday at 2 pm and 6 pm; and, Sunday at 11 am and 3 pm. Tix: $30; Student/Senior: $15. Recommended for audiences 5 and up. For school show booking and information, contact Erin: estehli@milesquaretheatre.org. JERSEY CITY THEATER CENTER, Merseles Studios, 339 Newark Ave, JC. www.jctcenter.org. Thurs, Feb. 9 through Thurs, Mar. 23, JCTC in partnership with the Writers Theatre of NJ presents BORDERLESS, NEW PLAY FESTIVAL. Thurs, Feb. 9, 7-10 pm: FOURTH PLANET, by Dano Madden, a staged reading. “As Dr. Violet Garcia attempts to be chosen for the first human mission to Mars, she is forced to confront the possibility of losing her most important relationships on Earth. Fourth Planet is a play about the future of humanity and what scientific advancement and sacrifice look like through a very personal lens.” Reading followed by Talk-Back.